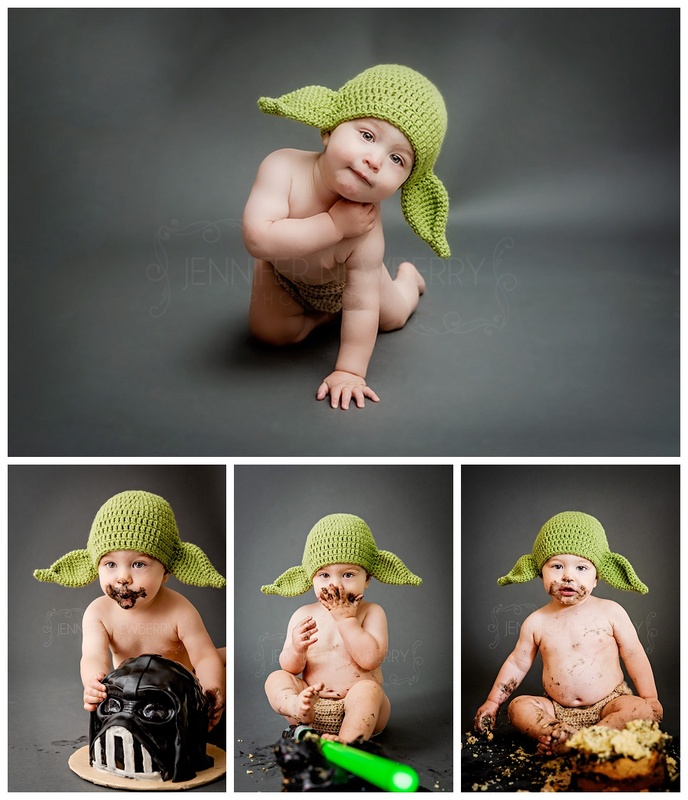 I don’t normally do a sneak peek blog post for portrait sessions or cake smashes, but the Yoda cake smash was TOO CUTE, I couldn’t wait to share! Olive’s little brother River turned one! And his one-year cake smash was EPIC. 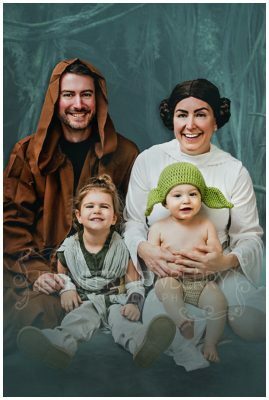 River’s dad got to choose the theme this time around, and Jeff chose Star Wars! Here are just a mere few of my favourites! Cake smashes aren’t just for babies! I love when I get to do cake smashes with older kids, because they REALLY know how to SMASH a cake! So, when one of my daughter’s bestest friends had a birthday late last year, we knew a cake smash would be loads of fun! Victoria’s pink cat cake (made by always awesome Krystle, over at Dessert by Design) was completely obliterated. There were barely even any crumbs were left! 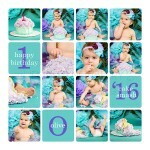 Does your baby have a birthday coming up? 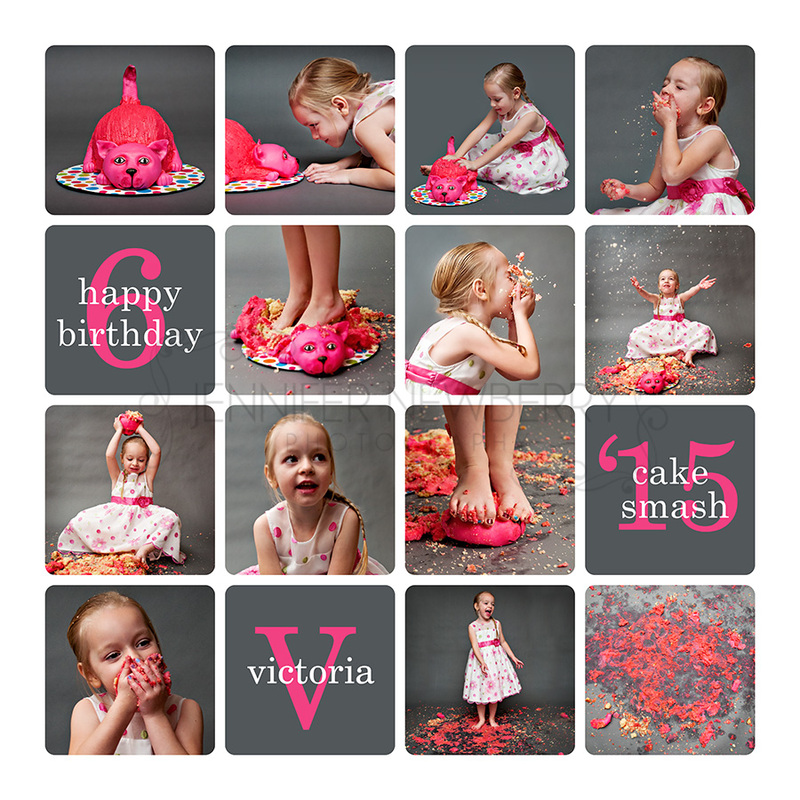 Looking for a Newmarket cake smash photographer? 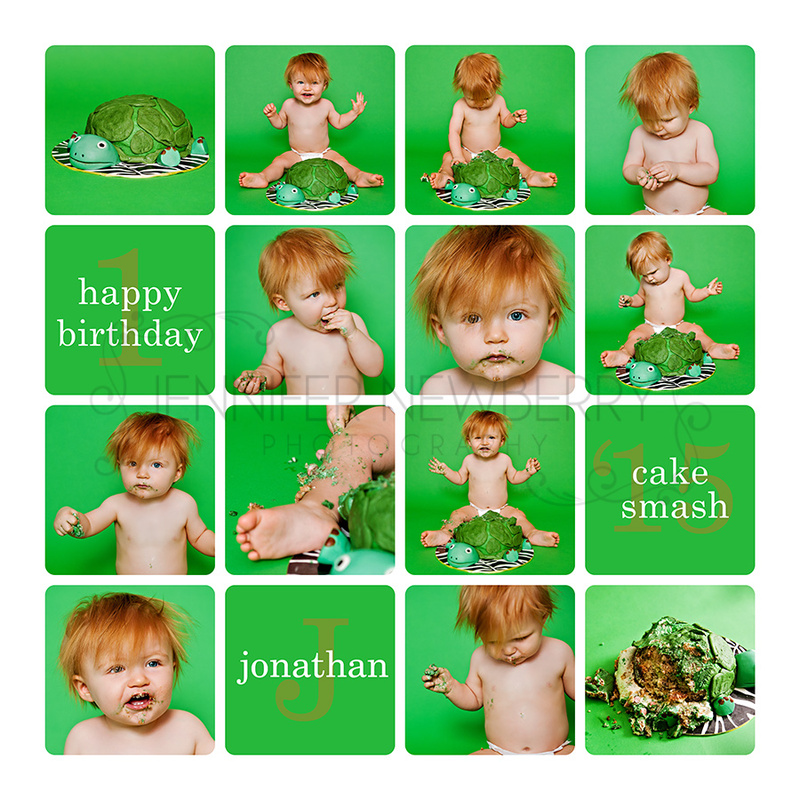 Get in touch to have me, Jennifer Newberry Photography, capture your baby’s cake smash, whether it’s in Newmarket, Aurora, Richmond Hill, Toronto, Barrie, Waterloo, Hamilton, London, Muskoka, or beyond! 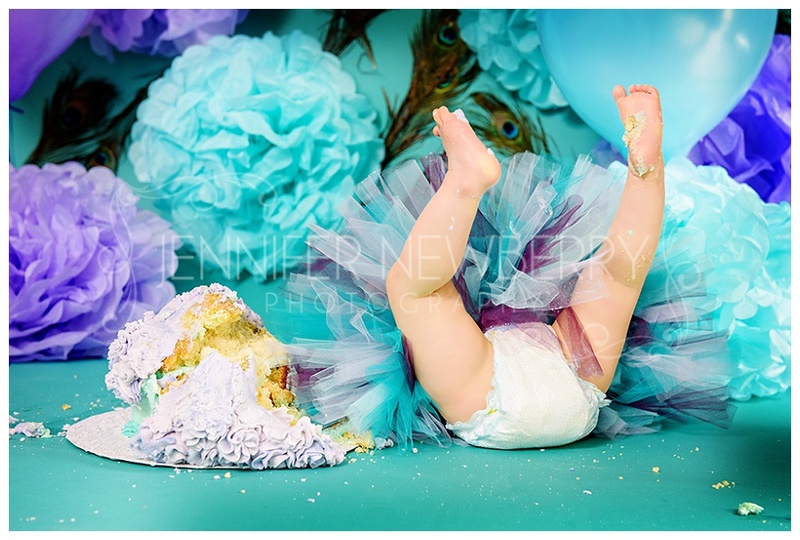 Jennifer Newberry Photography is anything but your average Newmarket cake smash photographer. Each cake smash session is treated with care and creativity not found with other Newmarket cake smash photography studios. Let your baby do their cake smash in their own home, where they are the most comfortable! This is Newmarket cake smash photography at its best. Jennifer Newberry Photography is an award winning photographer based in the Newmarket area. Offering coverage in Newmarket, Aurora, Richmond Hill, Mt. Albert, Markham, Vaughan, Toronto and all of Southern Ontario, this photography studio is one of the top studios in the area and is located right here in Newmarket. Creative. Stylish. Award-winning. These are the words typically used to describe this Newmarket cake smash photographer. With clients based all over the world, Newmarket is home to this Newmarket cake smash photographer. 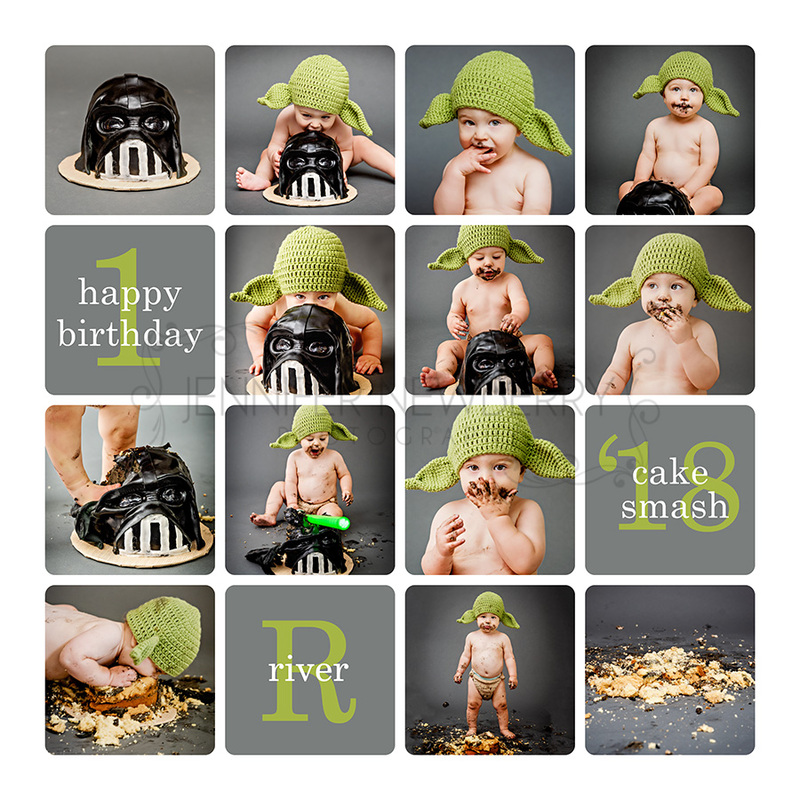 I take pride in offering our clients the type of Newmarket cake smash photography they are looking for. It’s one thing to take pictures, it’s another to create art for my clients. Our Newmarket clients are typically looking for artwork for their home vs. snapshots, and that is what draws them into our Newmarket photography studio. Jennifer Newberry Photography also offers Newmarket wedding and event photography coverage in the GTA, including but not limited to, Newmarket ON, Toronto ON, Mt. Albert ON, Barrie ON, Waterloo ON, London ON, Hamilton ON, Muskoka ON, and the surrounding areas. Not looking for a Newmarket cake smash photographer? Please be sure to consider me for your family’s event photography needs in the Newmarket area! 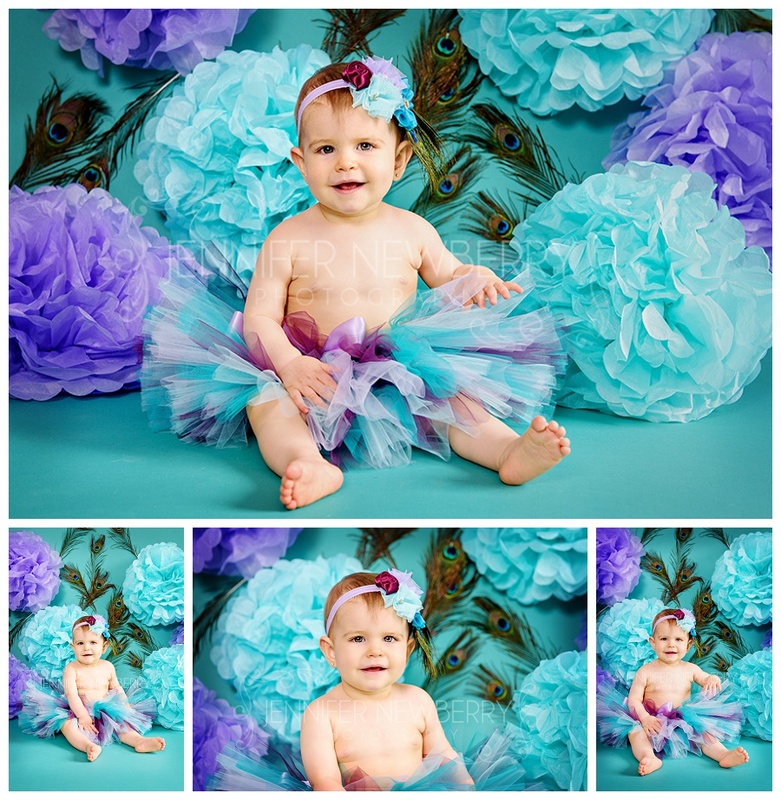 Louise and Jeff‘s sweet baby girl sure has grown up since I last photographed her at 2 months old! Though I feel like I’ve watched her grow up since then, since I do some photo editing for Louise, and also from Facebook of course. Before the actual cake smash, I always like to start off with some portraits. I love the purple and teal colour scheme, accented with peacock feathers, that Louise chose! And, of course, some family photos as well! 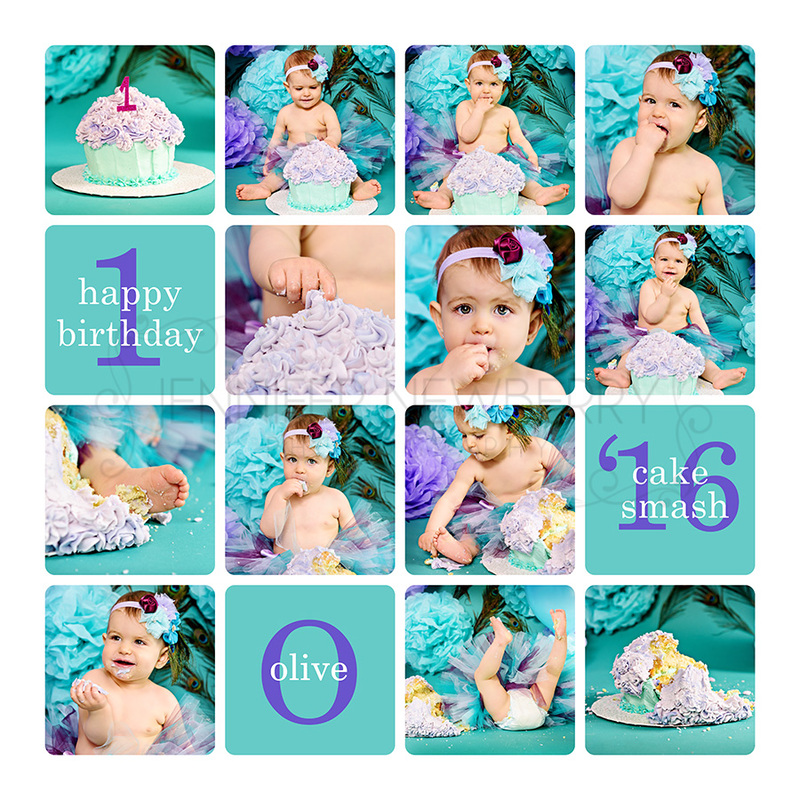 I lovelovelove cake smash sessions, because each one is different and you never know how the baby will react, but it’s ALWAYS adorable! This was especially true in Olive’s case. She went through a rollercoaster of emotions in a short period of time. First she was sad, because she didn’t want to sit near the cake (made by Dessert by Design), then she realized it was CAKE, and she was happy! I’m guessing she got nervous by having me and both her parents stare at her while she ate cake, so she got angry. But then – CAKE! Happy again! And that’s about how it went the whole time. Sad/Curious/Happy/Angry/Curious/Sad/Happy – it was hilarious (and adorable) to watch! In any case, we got some great photos and of course great memories as well! I just love this photos. hehe!! I don’t do a lot of personal posts on here, but my third baby just celebrated his first birthday, so of course we had to do a cake smash! Jonathan’s Newmarket cake smash went pretty much as I expected it would – Jonathan was weary at first, and didn’t want to touch the cake. After a little while he touched the cake a bit. My husband put a chunk of cake and icing in Jonathan’s mouth, and he was a bit shocked the the sudden sugar rush I think! He actually quite enjoyed the banana cake without any icing the most! The adorable turtle smash cake was made by Krystle over at Dessert by Design. My first son’s cake smash was done before I started blogging, but my daughter’s cake smash can be seen here. 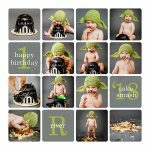 I have both my older kids’ cake smashes on 20″x20″ canvases up on my kitchen wall – they love seeing photos of themselves up on the walls! I can’t wait to add this one to my “cake smash wall” as well! Maybe I’ll post a photo of all 3 canvases once the third one comes in! Happy 1st Birthday Little Guy!